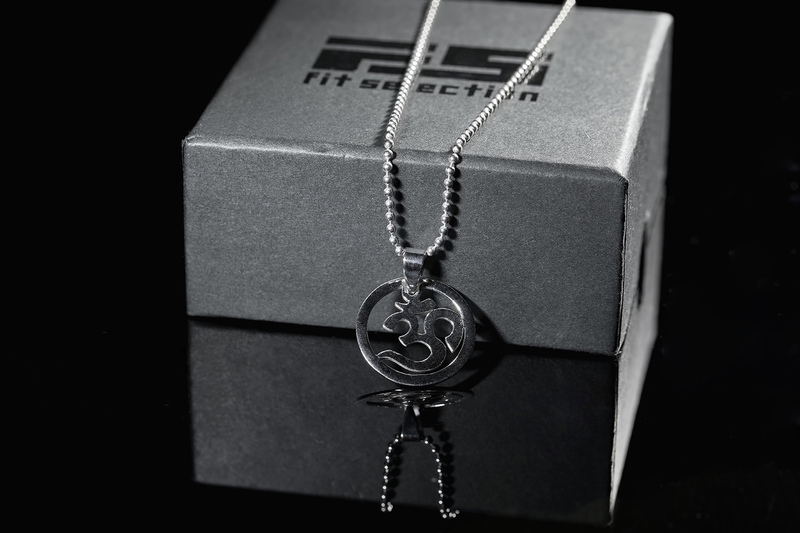 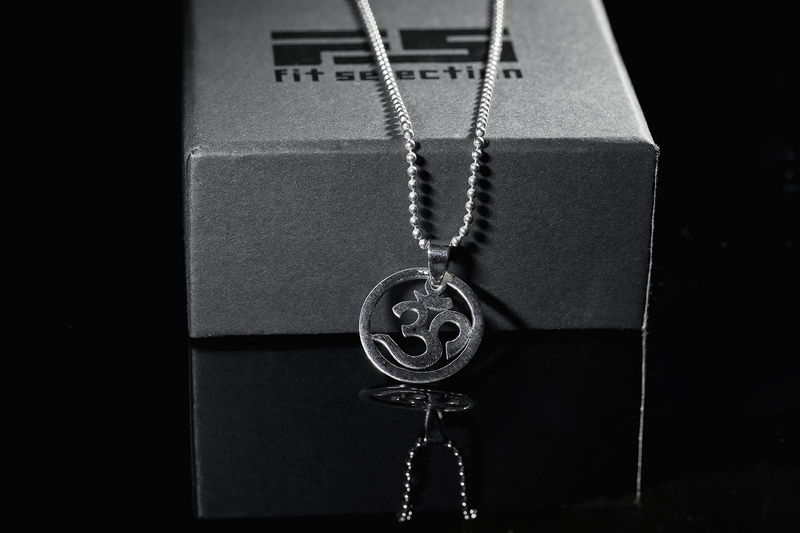 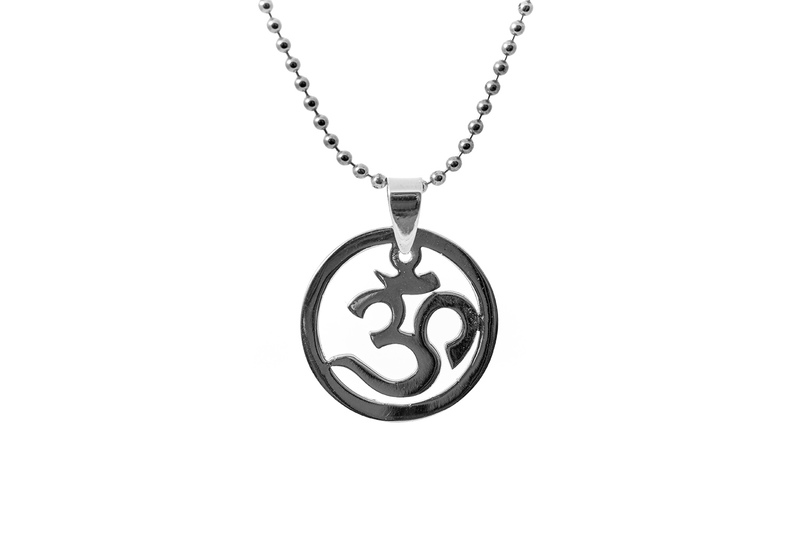 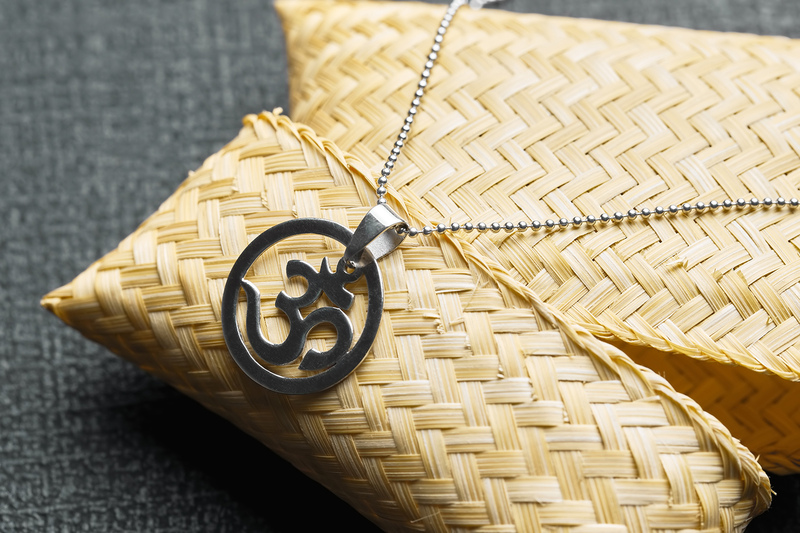 Fit Selection creative team has decided to expand our design collection dedicated to yoga practitioners, and for all of those who like meditation and yoga, we have created this Yoga necklace Om symbol 925 Sterling Silver. Om is a matrix of all sounds when in its diversified form gives rise to all words used in language. The symbol OM visually consists of three curves, one semicircle, and a dot. 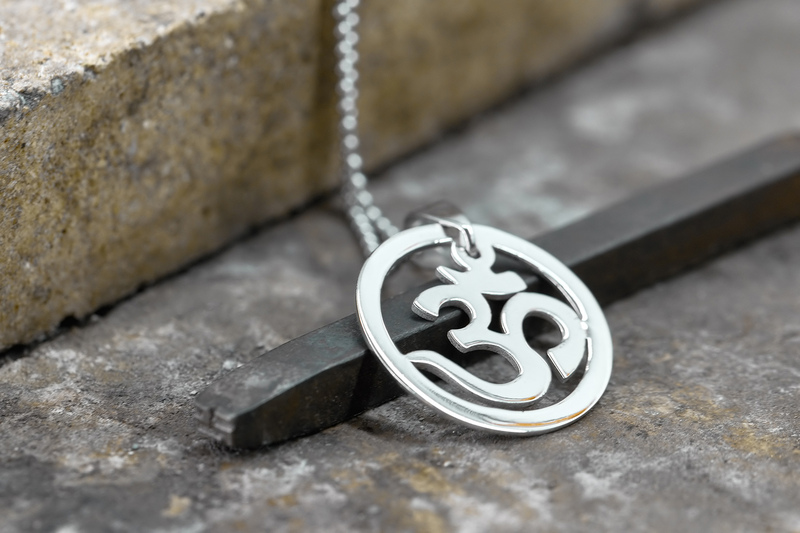 The large bottom curve symbolizes the waking state, A. The middle curve signifies the dream state, U. 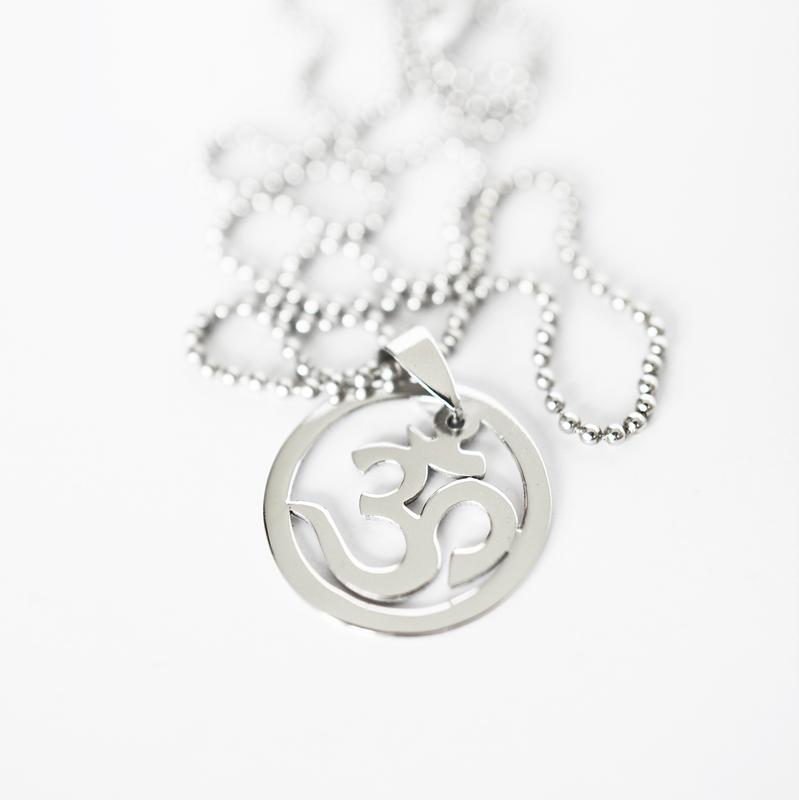 The upper curve denotes the state of deep sleep, M. The dot signifies the fourth state of consciousness, Turiya. 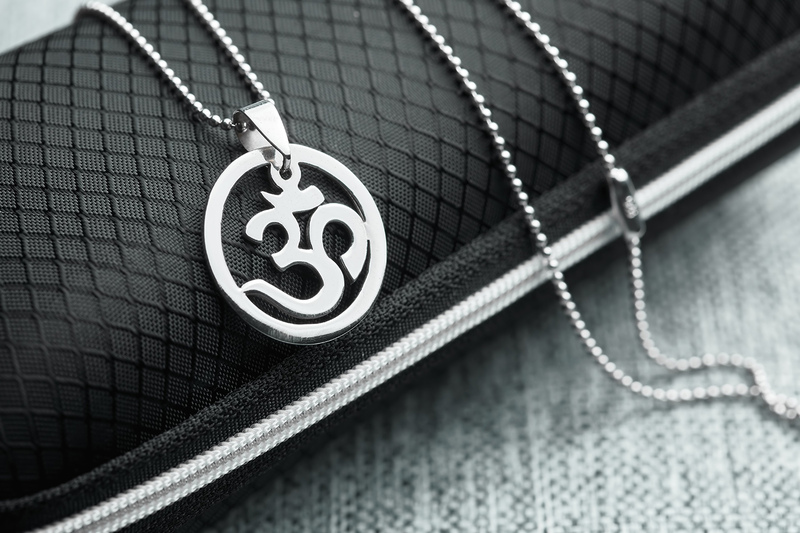 In a yoga setting, the chanting of om at the beginning of class ushers practitioners into the time and space that is about to be spent on the mat or in meditation. The om symbol has become the unofficial logo of yoga. 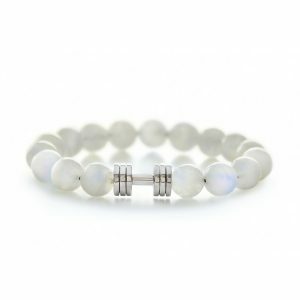 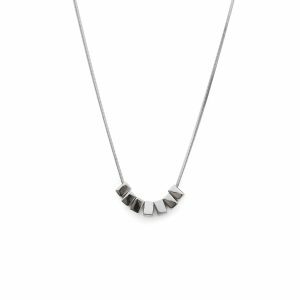 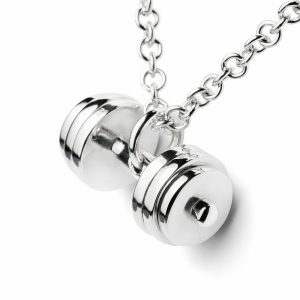 This unique Yoga necklace is the handmade piece made from 925 Sterling Silver, ensuring durability and long-lasting quality. 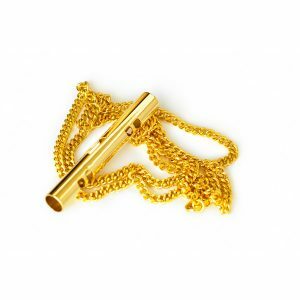 In order to keep the item in good condition we recommend you to use the special silver polishing cloth which you can find in our Fit Selection jewelry box that comes complimentary with your item.